My career in the music industry started in May 1998 when I landed a job as a Telesales Representative with BMG. Since getting that kickstart 20 years ago I have worked for Universal Music and Sony Music Australia in sales, marketing and promotions roles. 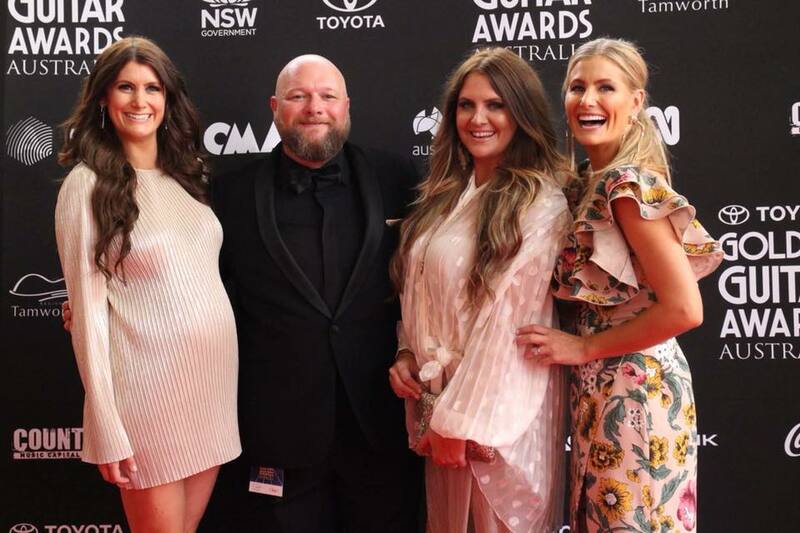 I started my own management company in January 2014 and I currently handle exclusive management of The McClymonts, Adam Eckersley Band, Adam Eckersley & Brooke McClymont and Fanny Lumsden. In February 2018, I was elected to the role of Chairman of the CMAA. The Australian music industry in 2018 is an exciting place to be. Earlier this year, ARIA (the body who represent the record industry) announced that over the 2017/18 financial year, the Australian record industry experienced the highest annual growth since 1996, whilst APRA (the body that represents publishers & songwriters) announced record revenue for the same period. In both cases, the revenue has been largely bolstered by digital and international income. To top off these success stories was the news that the Australian live performance sector had a record-breaking year in 2017, with $1.88 billion generated from ticket sales with both attendance and revenue figures up. Clearly, the Australian music industry is in a healthy financial position but also importantly, the conversations around equality, health & wellbeing, fairness & support are growing stronger all the time and it certainly feels that the music industry is heading towards a new golden era. In terms of the Country music industry, it certainly feels that we went up a gear in 2018 with an unprecedented level of commercial radio & media support for the genre, new festivals being announced, more artists than ever signed to major label deals and more independent artists breaking ground. We received a record number of entries for the Golden Guitar Awards, with a record number of entries in the New Talent category – a sign that there is a growing interest in country music. All of this is building together and introducing new fans and new business people into the sector to support the growing number of artists who identify as Country artists. One of the essential elements contributing to the growth of our industry is the strong community aspect of it. It has a framework of artists, songwriters, musicians, producers, managers, record labels, publishers, agents, promoters, media and supportive fans who are working together to take the music forward. It’s also fostered in The Academy where the students get as much out of building networks with fellow artists as they do from learning about the industry from our tutors. What is incredibly exciting right now is the diversity of artists that exist under the “Country” umbrella. From Alt Country/Americana and Contemporary Pop/Rock to Traditional styles, there is something for everyone and we are finding that fans are crossing over between the various styles. On top of the growth and support for our genre in Australia is the ever-growing presence of Australian Country music around the world. Morgan Evans has had a major breakthrough overseas while songwriters such as Phil Barton, Lindsay Rimes & Kylie Sackley are regularly producing hit songs, opening up opportunities for other Australian artists & writers to get a foothold into international markets. It seems all of the American acts want to tour Australia now (which wasn’t always the case, even 5 years ago) and so Australians are getting opportunities to write, record & perform in ways that wouldn’t have been possible in the past. The changes I’ve seen working in the industry since I started out 20 years ago are enormous, but change doesn’t need to be a bad thing. We’re working at an exciting time for our genre, in cooperation with our community to get the best results for artists and fans alike. Watch this space, you won’t be disappointed.